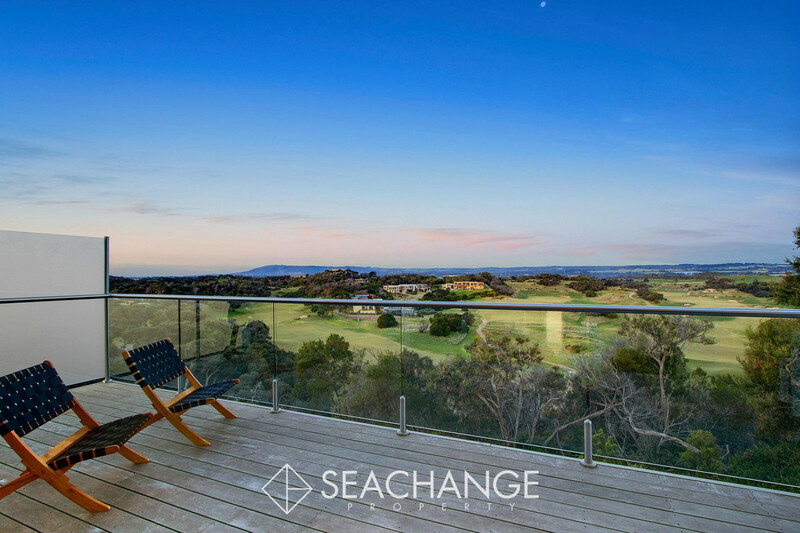 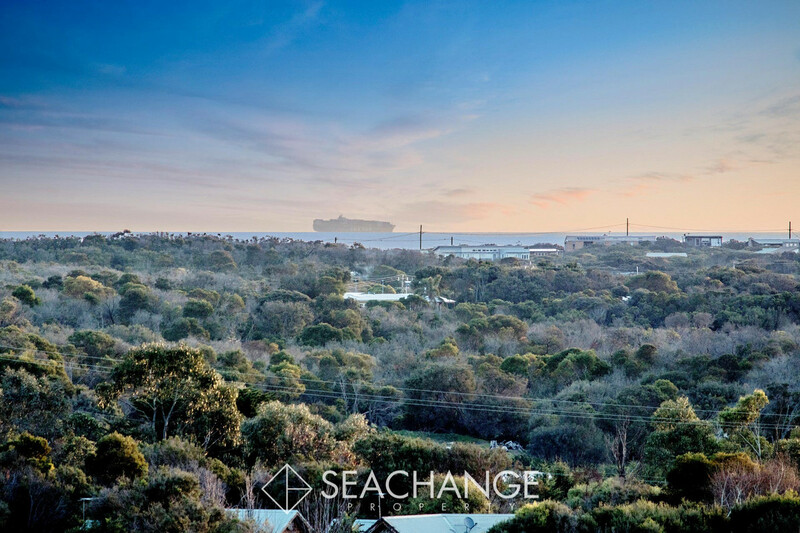 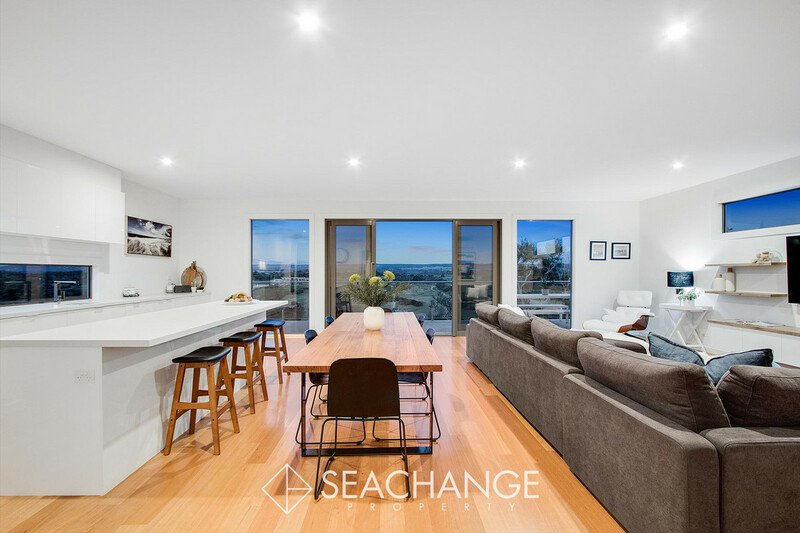 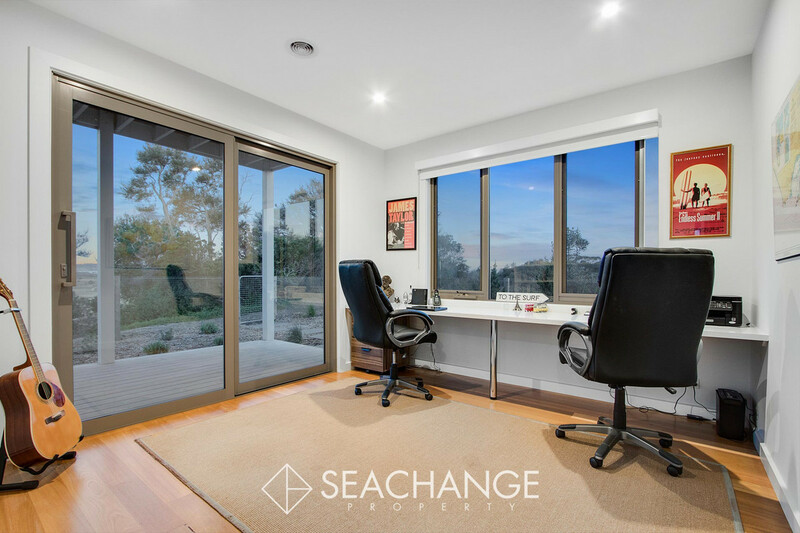 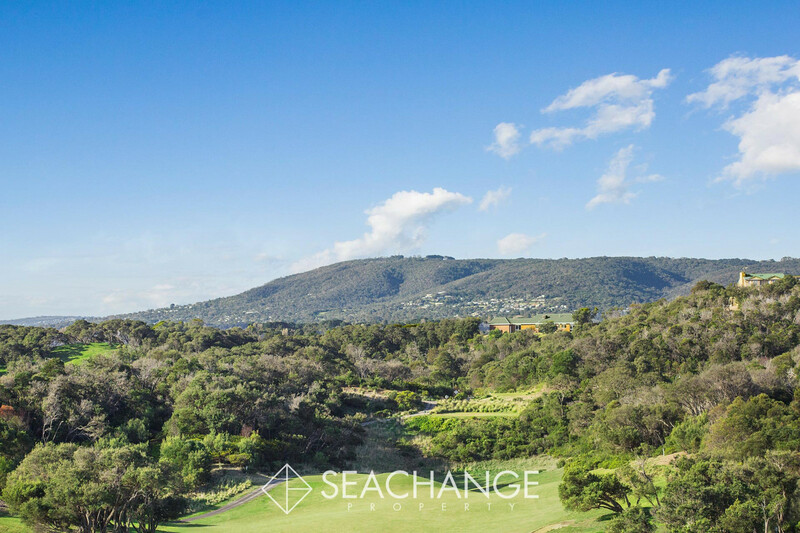 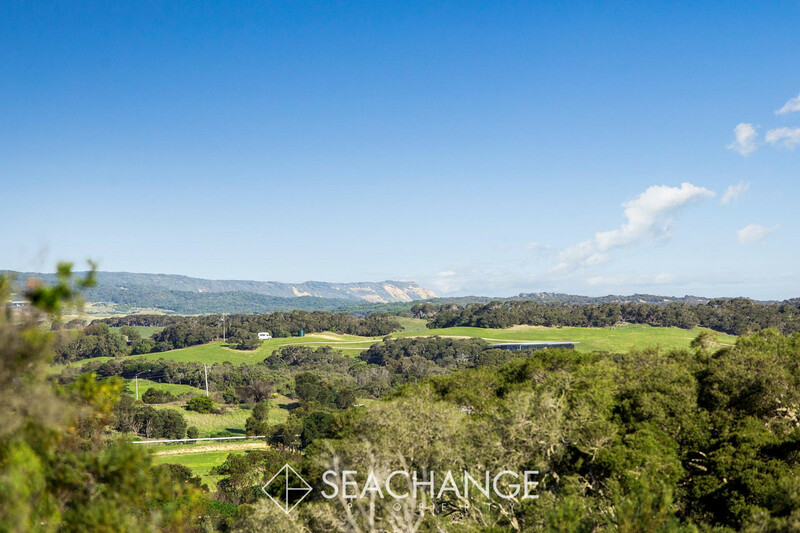 Possibly the most spectacular views on the Mornington Peninsula can be enjoyed from every window of this amazing lifestyle home surrounded by prestigious homes and Moonah Links Golf Course. 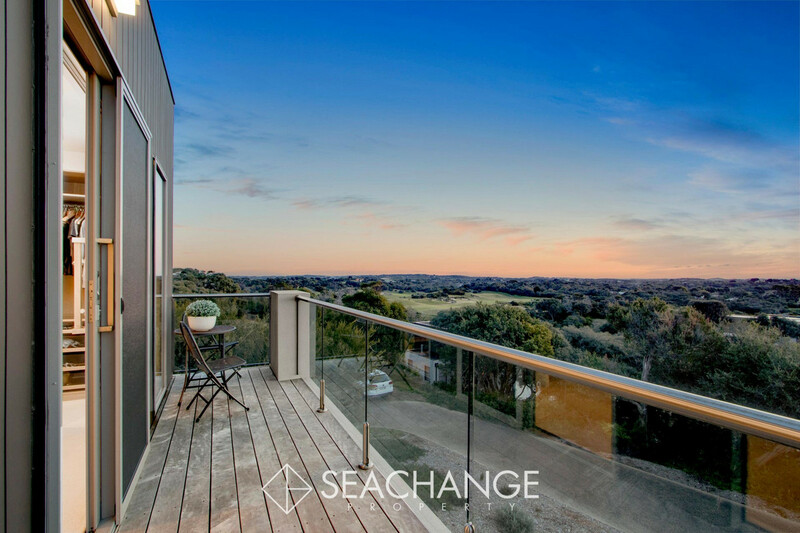 Designed to capture the outdoors from every room this wonderfully private elevated position feels like heaven. 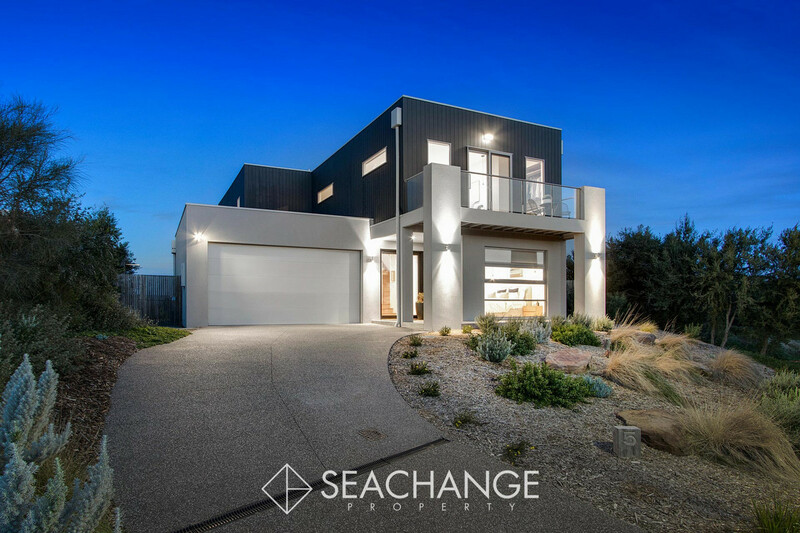 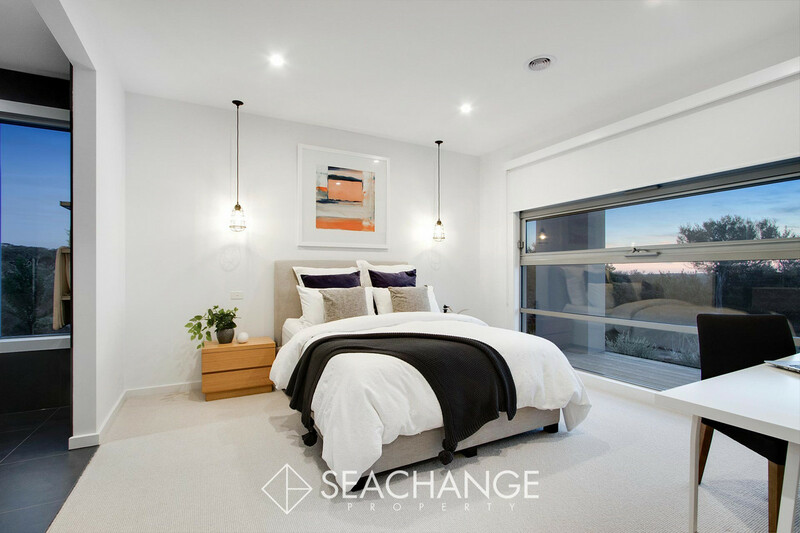 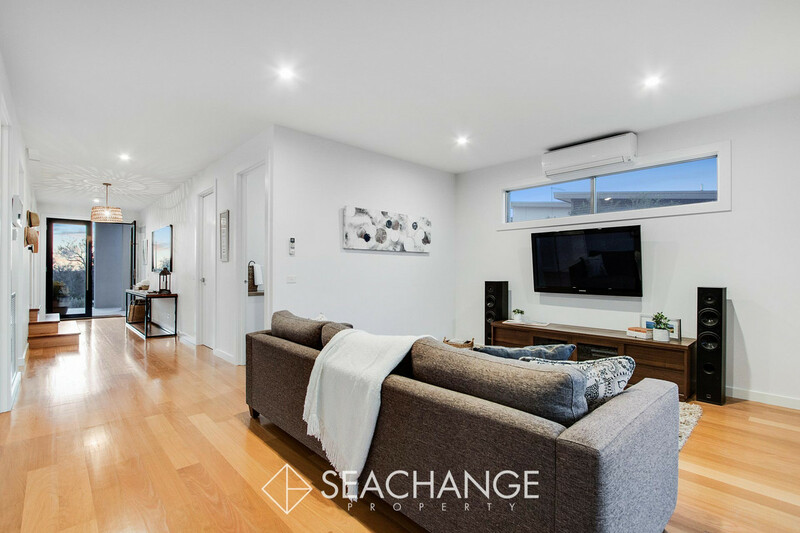 This contemporary, dual-storey residence is designed with all the modern comforts yet oozes style and grace with both open plan and secluded living spaces. 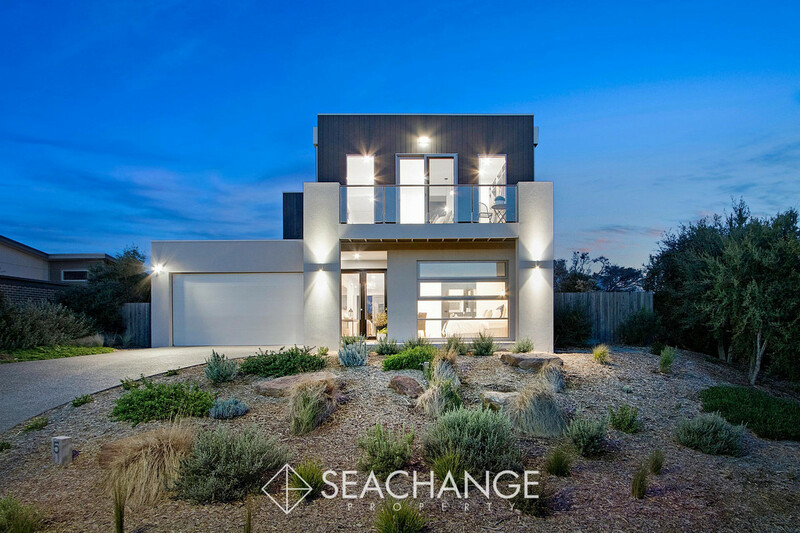 A truly mature, smart design that understands family harmony, this sophisticated “forever” home is the ideal getaway from the everyday. 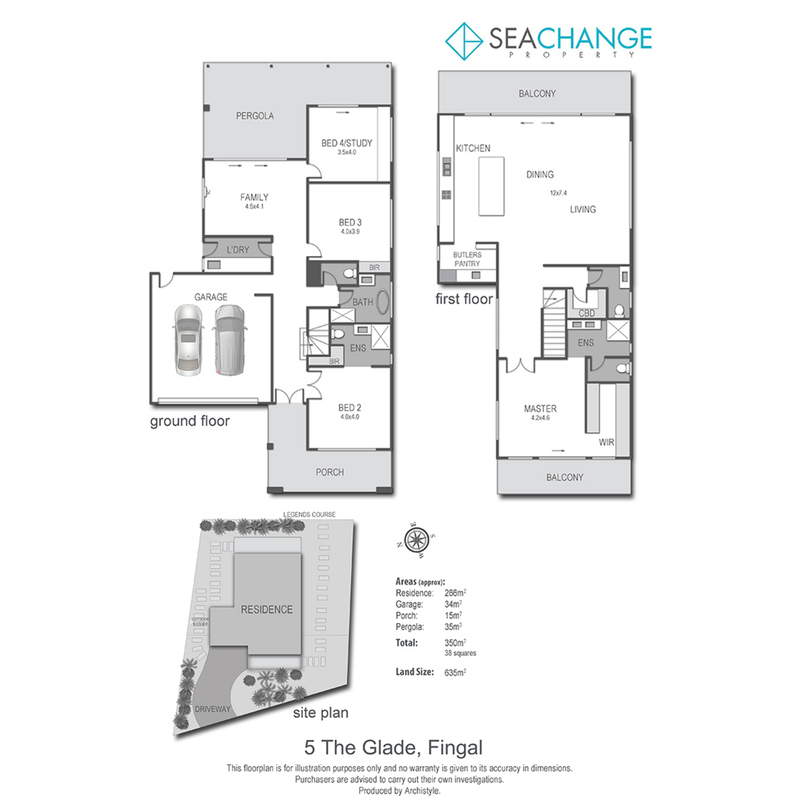 The three-bedroom-plus-study (or 4th bedroom) design opens to a wide staircase entry. 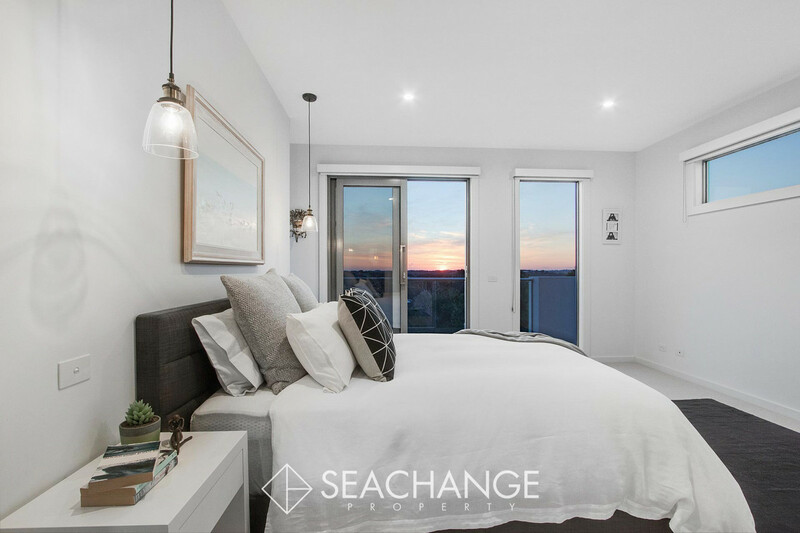 The layout has living rooms and fully-tiled main bathrooms on both levels, ensuites adjoin the guest and master bedrooms, there’s a powder room and laundry, plus double remote garaging with handy internal access. 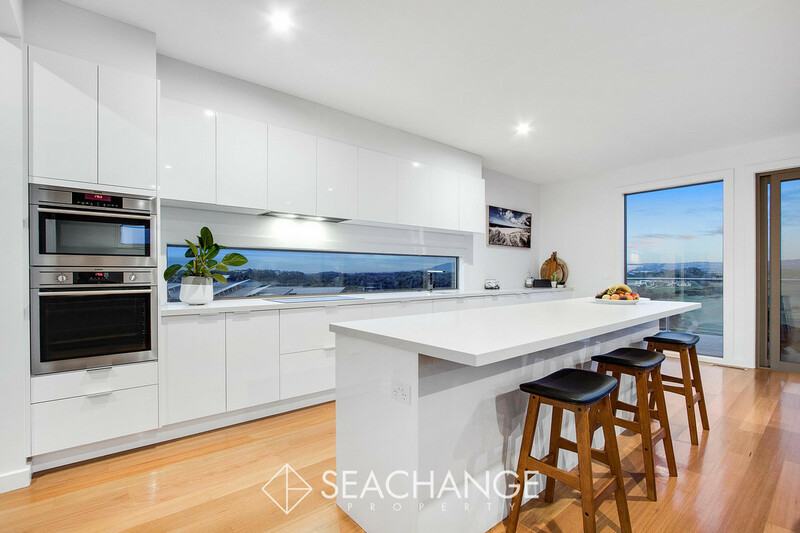 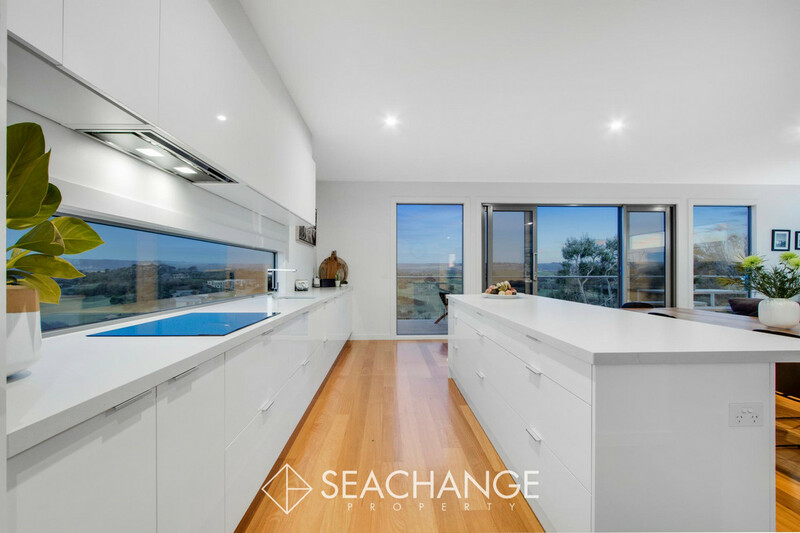 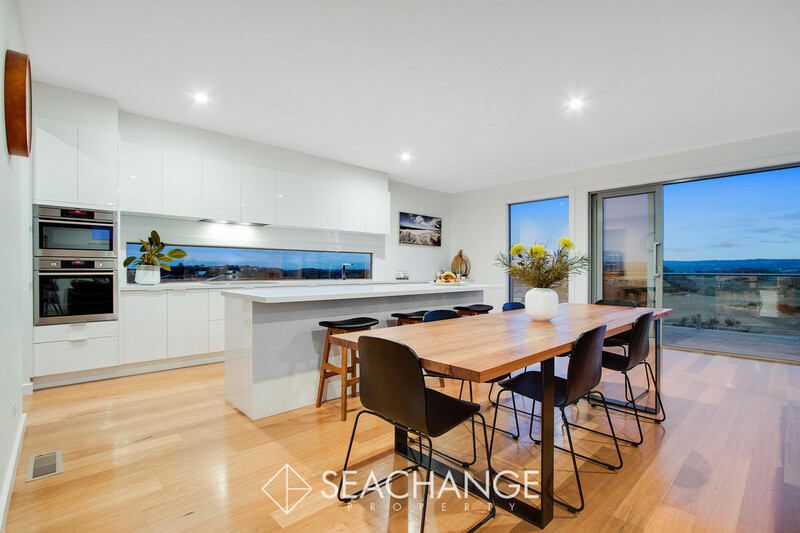 Beautiful streamlined cabinetry and ceasarstone benchtops shine in the modern kitchen which also includes stainless steel dishwasher, induction cooktop, pyrolytic oven, microwave (or 2nd oven), breakfast bar and butler’s pantry. 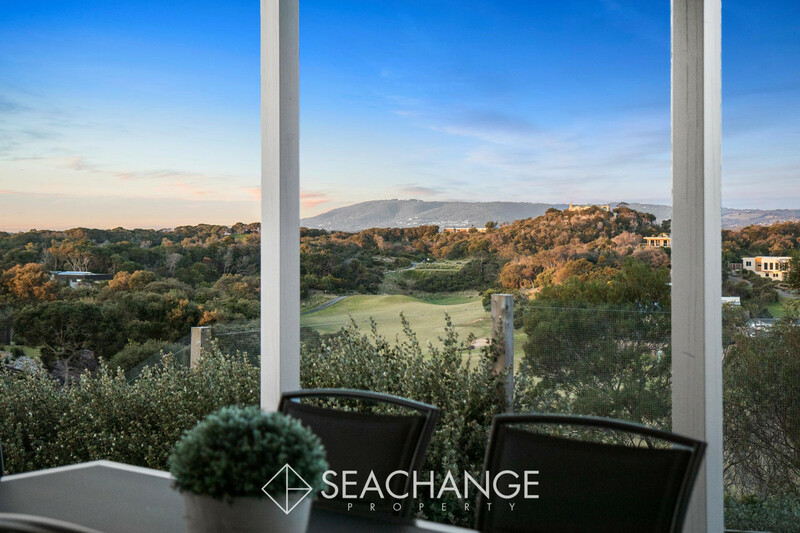 Light-filled, open-plan living extends to the substantial entertainer’s deck bringing a little magic to the day with panoramic vistas of far-reaching countryside, green golfing fairways, Arthurs Seat and Cape Schanck. 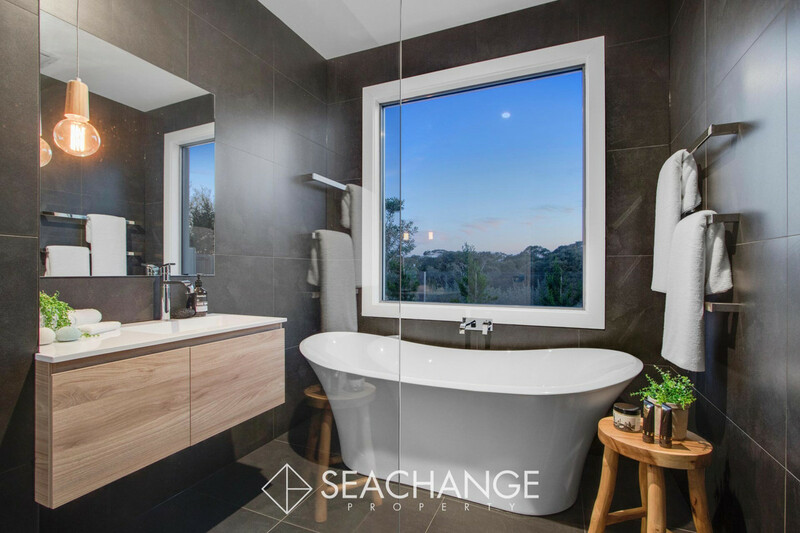 High ceilings and square-set cornices add to the interior’s appeal, as does timber flooring, downlighting, split-system cooling, gas ducted heating and a feature bathtub to soak and kick back. 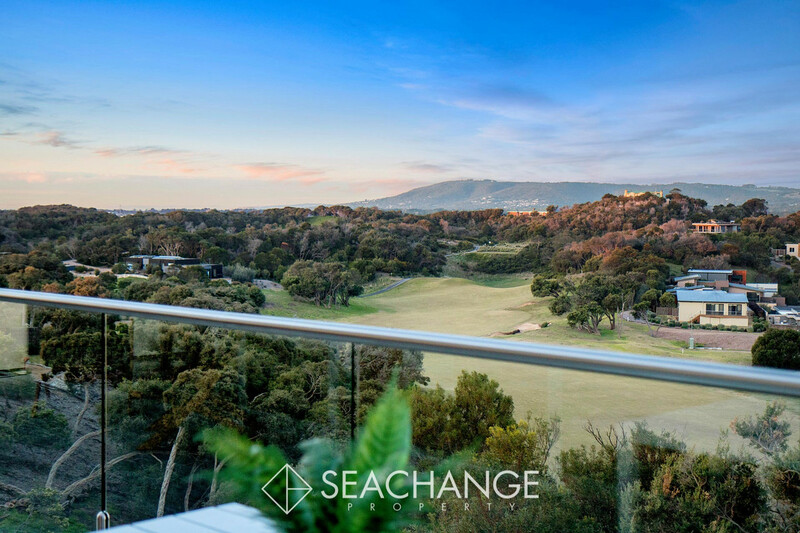 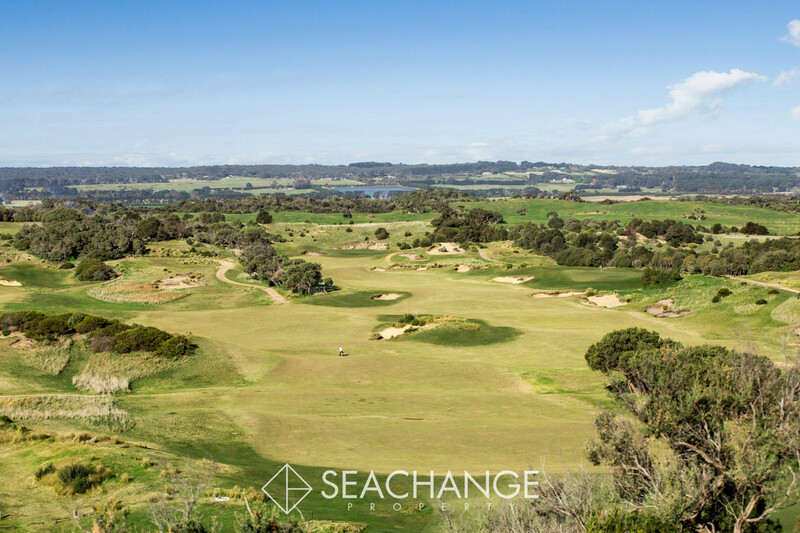 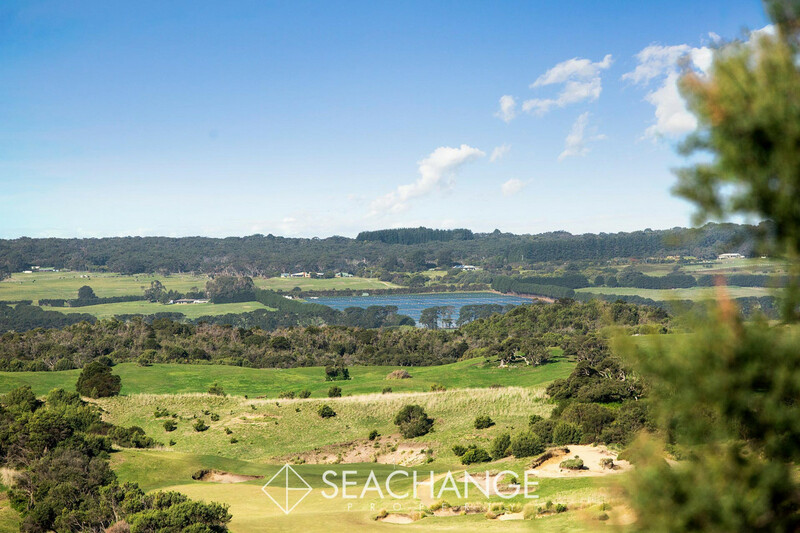 For a different slice of the view, Port Phillip Bay and the Otways can be seen from the front observation balcony along with the 12th and 14th hole of The Legends course. 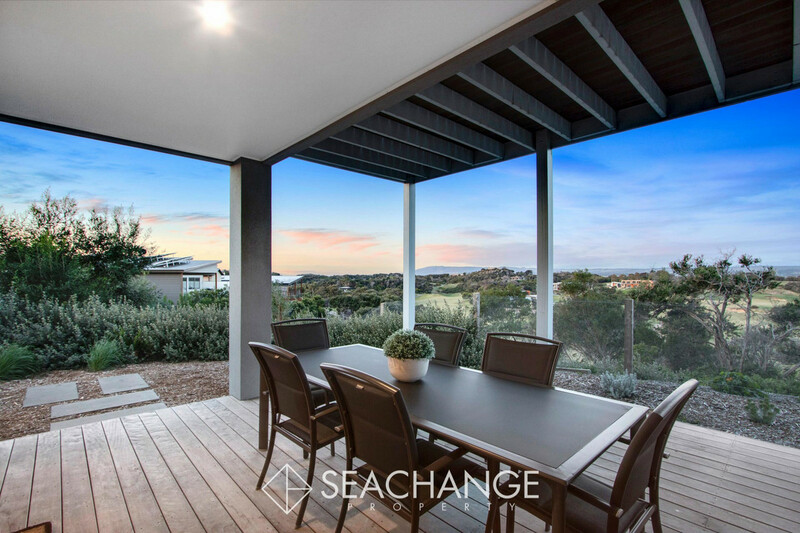 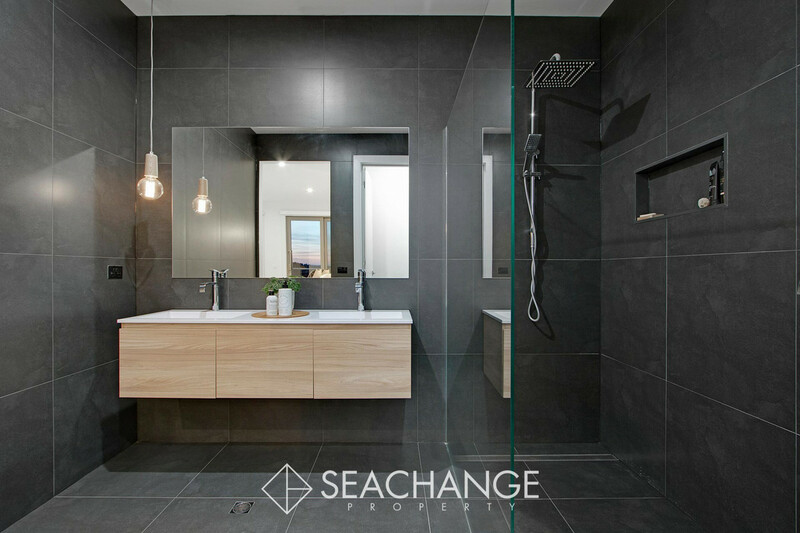 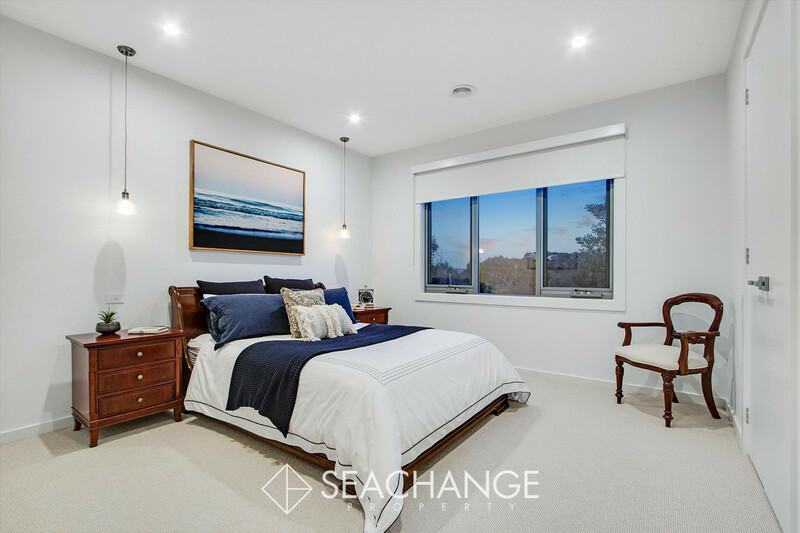 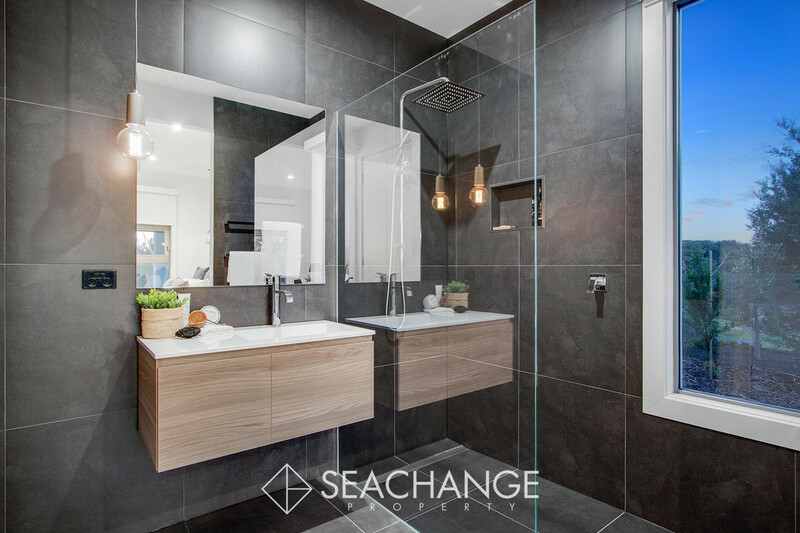 Surrounded by quality homes and the natural coastal landscape, this luxury home sits within a private gated community of the whisper-quiet Moonah Links Estate in cul-de-sac seclusion. 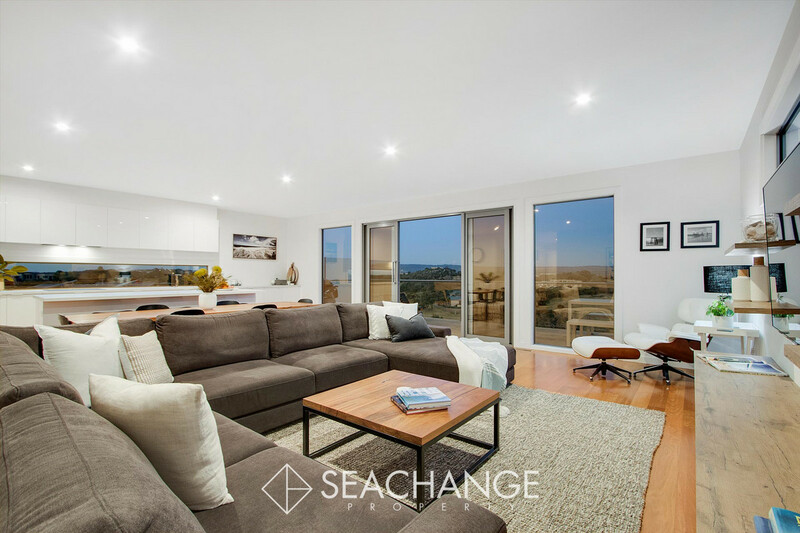 All this within a few minutes of the thundering surf of Gunnamatta Beach and all the wonderful attractions and wineries the peninsula offers.